The new Man of Steel trailer blew us all away yesterday. It has heart, action, and a seemingly bonafide superstar in Henry Cavill. The trailer was action packed and delivered everything we want to see in a Superman film, and more importantly, it didn’t give away too much in terms of the story. 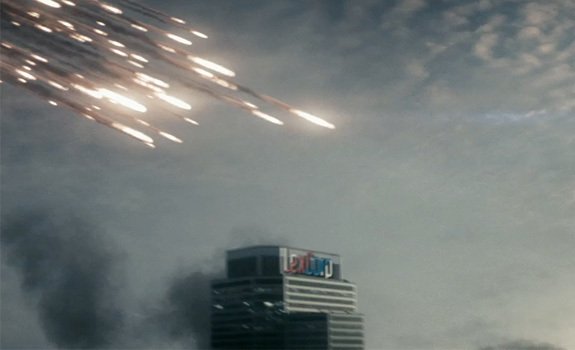 One thing I did notice, however, as I’m sure many others did, was the surprise cameo of LexCorp in the trailer. 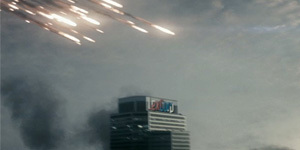 Take a look at the screenshot below and you’ll clearly see it written onto that building in red, white, and blue (classic Luthor to boast the American colors using his name). The scene takes place at the 2:18 mark of the trailer. Does this confirm Luthor’s appearance in the film, as speculated just the other week? Only time will tell. New ‘Man of Steel’ trailer arrives! Rumor: Lex Luthor to appear in ‘Man of Steel’?